SIYABONGA Lewis Dlamini is the ultimate winner of the Tshwane Gospel Choir auditions. Dlamini will be joining the Pretoria based gospel ensemble in January. The winner was announced on Wednesday morning at Molly’s House of Grills in Manzini. Siyabonga stood out as the best among the 12 finalists who were auditioned by Umvini Events Management. 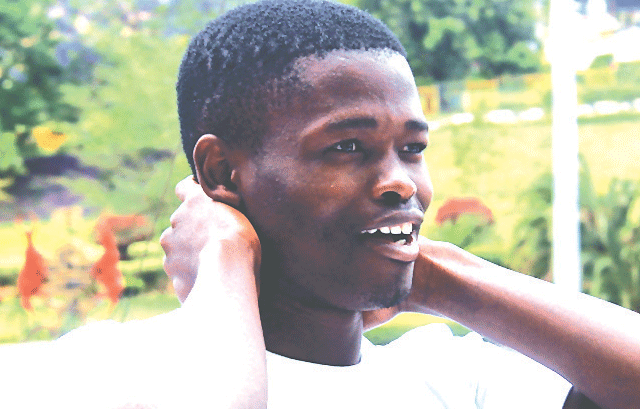 The 23 year old member of Mbabane Metropolitan Church said he was humbled and honoured to have been identified as the eventual winner of the tightly contested competition. He said this was God’s plan that he won the competition not just because he was the best. “The Bible says He who has started the work will bring it to finality. On this day I see God finalising what he started in me,” he said. Eswatini Arts and Culture Council Chief Executive Officer Stanley Dlamini said they were excited about the project stating that they were hoping it will continue to benefit more local artists. He said they would have talks with Umvini Events and find a way of recording the finalists so that the talent that was unveiled is not lost. He congratulated the finalists stating that getting this far was due to their talents. Dlamini also urged the winner to be a good ambassador of the Kingdom and the gospel. “The way you are going to carry yourself at Tshwane will determine if the relationship with the group and local artists continues. I urge the one who will be the eventual winner to know that there is high expectation from the local artists so he must not disappoint but fly the flag high. “I want to urge you that you must not relent but move forward and use the skills that you received during training when you were doing preparation for the competition. We would like to thank Tshwane for their open arms. “They have lived up to the great commission which says, go out to the world, which is exactly what Tshwane has done by coming to the country and scouting for talent,” he said. He added that as a council they were excited about such projects which unearth the raw talent, groom it and put it out to the world. “The directors of Tshwane have assured us that the winner will be well taken care of at Tshwane and will form part of the bigger family of the group.